ARE YOU THINKING ABOUT FAKING YOUR LOGBOOK HOURS? THIS IS WHY YOU SHOULDN’T. If we were trying to scare you, we would tell you that you would get caught if you faked your logbook hours. And that there would be devastating consequences. We would tell you that there’s a fine up to $6600 and that you would be taking an unnecessarily dangerous risk. But the truth is, there are many people who fake their logbook hours and don’t get caught. 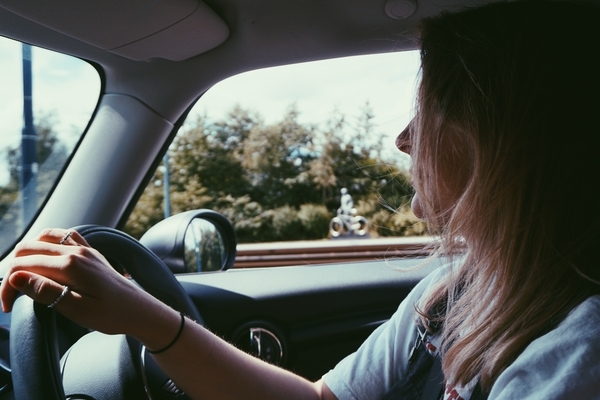 We understand that it’s extremely tempting to cut corners because you just want to pass your driving test to get it over and done with. It’s exciting to be able to finally drive alone. To finally be able to drive without your parents watching your every step. We’re not going to say that you’re cheating yourself by faking your logbook hours or anything like that. But what we do care about is safety. What’s more important than being able to drive on your own, is to be able to on your own safely. There’s a reason the legal number of hours you need is 120. It’s not because the Government wants to make it as hard as possible for you to drive on your own. It’s because there’s a shocking amount of P-Plate drivers who crash. It’s actually 30 times more likely for a P-Plate driver to crash and 3 times more likely that they’re injured or killed. That’s why we recommend you do the whole 120 hours. And we understand that it might be difficult. It’s time-consuming and you just want to finally drive around with your friends. But every hour that you practice driving is an improvement in your driving. The reason why P-Plate drivers crash is because their driving skills haven’t fully sunk into their intuition. To put it more simply, you can’t learn to drive by reading a driver’s manual. You need to practice until you intuitively learn all the safe driving habits. At LTrent, we’re dedicated to creating these habits. We want you to check your blind spot when you’re changing lanes without thinking ‘I’m changing lanes so I need to check my blind spot’. We want your habits to be so ingrained in your driving that you’ll check your blind spot automatically whenever you’re changing lanes. We want you to be able to park safely without worrying about how you’re going to fit your car into that tiny parking spot. We want the roads to be filled with confident drivers not because they think they’re good drivers because they passed the driving test — but because they truly understand the habits of safe drivers. It’s only through driving more that these habits become automatic and every hour that you do contributes towards building these habits. We aren’t just dedicated to helping you pass your driving test. We want to make sure that every hour you do after you’ve completed your logbook hours is safe. There’s a reason LTrent’s students have a 28% higher chance of passing the driving test than other schools. We don’t simply focus on what’s needed to pass the driving test. We understand the habits that create a safe driver and we help our students build these habits. Our students don’t just pass the driving test. Our students are safer drivers.